… At the turn of the last century, local immigrant Mexicans taught African-Americans how to make tamale’s in Delta, Mississippi? … Tamale’s are a Mesoamerican dish made from Masa (a corn-based dough)? .. Just like the Appalachian trail, there is a “Delta Tamale” trail that runs from Tunica, MS to Vicksburg, MS? … Ancient Mayan women invented the tamale? … Zacahuil is a legendary meter long tamale that can supposedly feed an entire village? … Michigan grows almost 75% of tart cherries consumed in the USA? … Soaking grass stains in white vinegar can help remove the stain? … Lamb grease can be removed from clothing if immediately sprinkled with Equal or Splenda? … If you drop a raw egg, sprinkling salt on the egg will help it stick to the paper towel ? … China produces the smallest species of onion? … Older eggs, when hard boi led, are easier to peel? The American Egg Board recommends refrigerating fresh eggs for 7-10 days before hard-cooking them! … Shitaki mushrooms contain a compound called AHCC? This boosts your immune system wich in turn fights the flu & slows the aging process. … Garlic, papaya, sesame seeds, squash & pumpkins are also good infection fighters? … When buying fresh mushrooms, the darker they are the more nutrients they have? However, dried Shitaki’s also have nutrients. … Shitaki mushrooms contain polysaccharides which can help with nausea, pain & hair loss associated with chemotherapy & radiation? 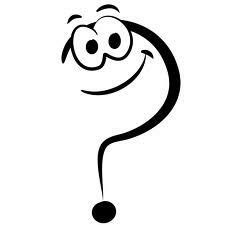 … One potato contains vitamin C, iron, potassium & has not fat or cholesterol? … One Holstein cow can produce 67,914 gallons of milk in 1 year (enough to supply 124,000 kindergarteners)? … A large buttered popcorn @ the movies contains well over 1000 calories? … In modern day England, “pudding” refers to any dessert? … A “Dutch Baby” is a baked pancake? – Oregano, Rosemary, Marjoram, Parsley etc. Place in a bowl & toss with 1/4 c. dressing. 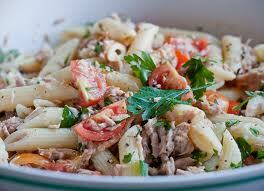 Add tuna to pasta & mix well. Add veggies & herbs and stir to combine. When ready to serve , stir well. ** Kens Italian Dressing is what Corey uses. Feel free to use your favorite or make your own. Any veggies of choice go well also. The original recipe came from Taste of Home magazine. I tweaked a few ingredients & came up with this. Whisk together all ingredients & refrigerate until ready to use. Put all ingredients in a salad bowl. … Black truffles come from France & white truffles come from Italy? … Homemade biscuits rise better when they’re just touching? If they’re apart then they tend to burn. … Making an indent in the top of your biscuits will insure even cooking? … Yorkshire Pudding was known as “Drippings Pudding” in 1737? … Chipolini means “little onion” in Italian?